Thank you for visiting the Borussia Dortmund Shirts shop at Soccer Box. 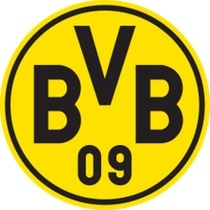 Borussia Dortmund is a German club that was founded in 1909 by a group of 17 keen players. From this simple beginning the team has become one of the most successful and best-supported clubs in Germany. If you are fan, this is the place to shop for your team top. German fans can find premium quality kits and shirts on soccerbox.com. The tops have been designed with performance in mind and features moisture management technology. In addition, the Borussia Dortmund jersey has a traditional design showcasing the club's distinctive color scheme. Soccer jerseys are a great choice for any fan. You can choose between the BVB home kit or away shirt that is available in kids and adults sizes. As well as the team top we stock the shorts and socks ensuring that you can wear the full match day kit the same as your favorite players. The Borussia Dortmund kit are selling fast, order yours while stocks last! Puma is the manufacturer of the Borussia Dortmund shirts and kit. Puma is a German manufacturer that has produced the team’s kits since 2012. The deal to design, produce and supply the shirts and kit will continue until at least 2016. The home team soccer shirt is infamous for it’s bold yellow and black color scheme. The home top is all yellow with small amounts of black trim, it is worn with black football shorts and yellow and black socks. The away shirt is usually the reverse of this color scheme being primarily black. The home of Borussia Dortmund is the Westfalenstadion stadium. This is the largest stadium in Germany with a capacity of 80,645; this includes standing and seated tickets for league matches. The capacity is reduced to 65,829 for international matches where the requirement is for an all seated stadium. At each game the stadium is packed with fans wearing official Borussia Dortmund football shirts as well as additional training kit and merchandise. Borussia Dortmund has the highest average attendance rate for any club in Europe. The team boasts a huge number of fans both in Germany and around the world. The Borussia Dortmund shirt is the best selling Puma kit. Over 250,000 jerseys are sold each season for this top class German team. Add to this the sale of official accessories that further highlights the popularity of the club. Fans of Borussia Dortmund have had much to celebrate over the years both in the German league and European competitions. Borussia Dortmund has been crowned champion of Germany on 8 occasions the most recent was in 2012. They have won the German Cup and DFL Supercup in domestic competition, increasing the popularity of the shirt throughout Germany. As well as domestic success Borussia Dortmund have gained exposure and won success in Europe. The team has won both the UEFA Champions League and the UEFA Cup Winners Cup. In 2013 they missed out on their 2nd Champions League losing to German rivals Bayern Munich in the final. In our Borussia Dortmund shop there are links to merchandise for other German clubs, as well as teams from around the world. So use the category menu provided above to navigate to your specific team. The Borussia Dortmund football Shirts and Jerseys are available for fast international shipping and next day UK shipping!